Hello fellow Vintage Journey travelers, and welcome to our December challenge! It's Julia with you today from Create with Me as your hostess and here is my challenge for you! 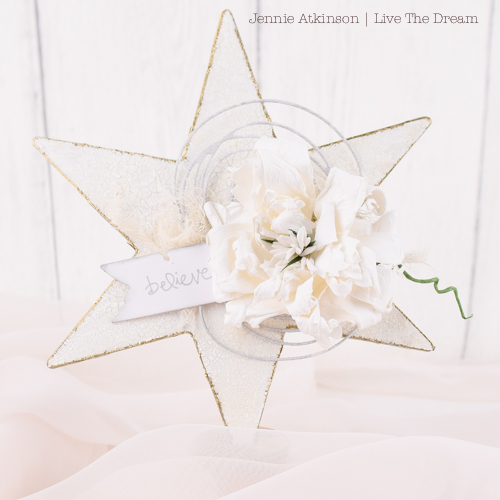 I'm pretty sure you will be excited by what the Creative Guides have to share below and that you, in turn, will be inspired to create your own Star Light Star Bright project to share with us! 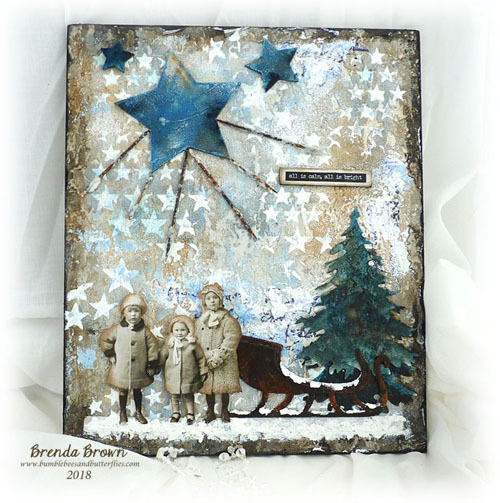 I created a winter scene with snowy hills and a family of deer gazing up at the large silver star standing out among the millions of smaller stars in the night sky! You will find a few more photos of my card here on my blog. I'll be back here at AVJ on 12/21/18 posting my full tutorial for you! We are very lucky here in Shetland to have clear skies where it is possible to see so many stars clearly in the night sky. They sparkle so brightly you can almost hear them! 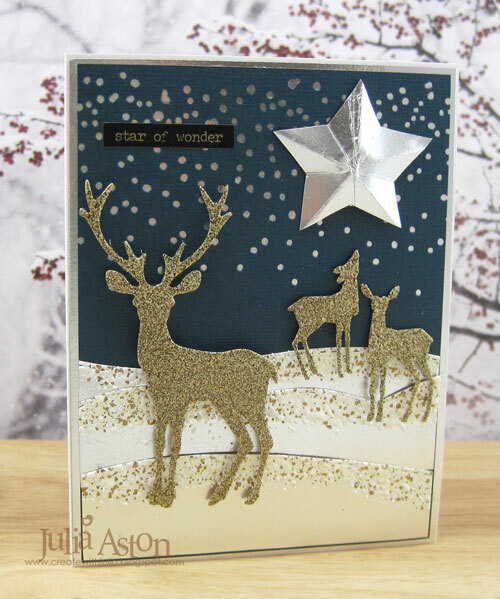 Do visit me over at Live The Dream if you want to see how I made my frosty and sparkling star for Julia's lovely challenge. My trio of starry tags came about as part of another collaborative crafting process via Skype. If you'd like to find out more, do come and visit me at Words and Pictures. You'll get a proper look at the sparkling starlight there, as well as being able to see those twiggy trees without huge shadows under them - yes, I gave myself another tricky photography task with these! 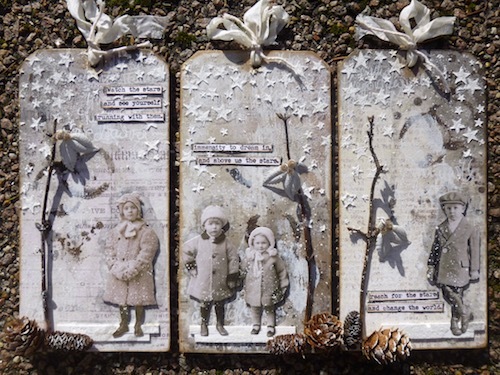 I have created a seasonal wall hanging in time for Christmas for this challenge. 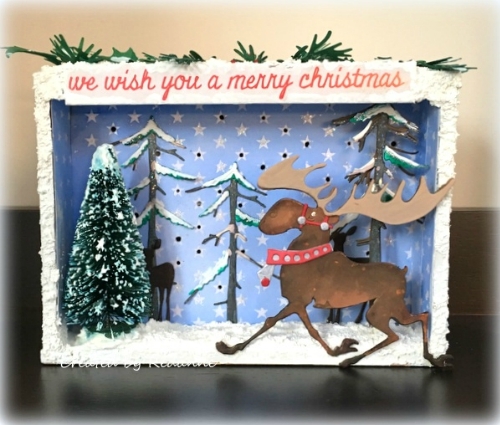 I had great fun making this one as it was another adventure in Skype crafting! Gather a few distant friends, connect via technology, and create 'together' while following a few rules! All the details can be found over on my blog. 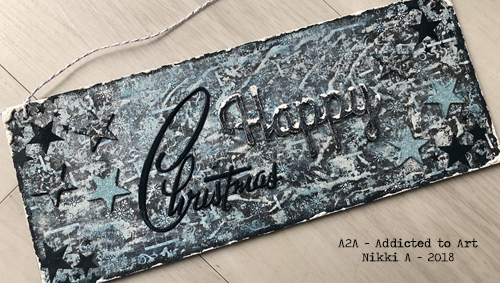 The day started with a large mdf board, my paints and mediums, the ipad and a thought that I would create something wintry or Christmassy. The ipad linked me to a crafty skype session with lovely teamies and this is what appeared. If you'd like to see the process steps please pop over to Bumblebees and Butterflies where all will be revealed. I decided to create a reverse canvas for Julia's lovely challenge. Unfortunately the light here has been so bad, that I was unable to take step out photos of this project, but for a description please head to my blog, for further details. 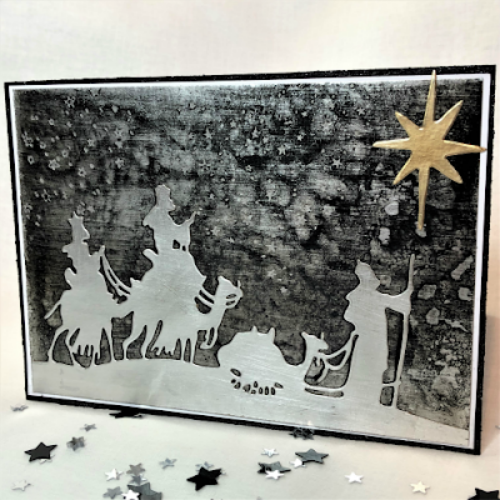 I really wanted the Star of Bethlehem to be the focus of my card, but if you stop by sarascloset you'll find that's not the only star in the night sky! 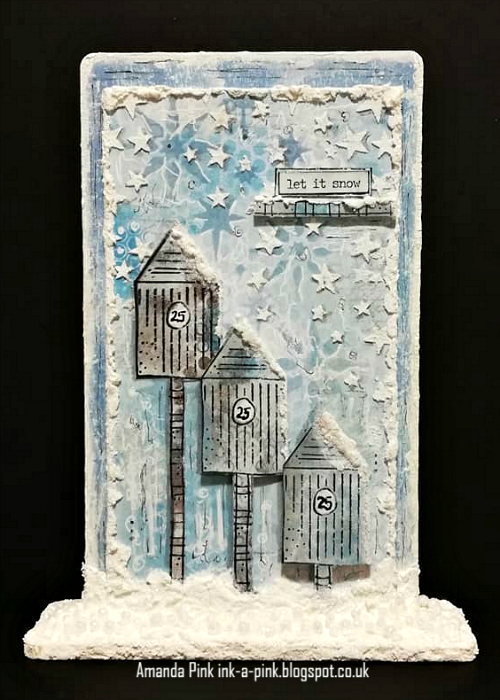 For the last couple of years, around this time I have enjoyed creating a project/ piece of art that has a wintery, snowy feel so I saw Julia's challenge as an opportunity to continue my trend by creating a snowy scene with a winter blue sky full of falling snowy stars. For more details please feel free to pop by my blog. We are always amazed by your talent and creative takes on the theme every month. The Creative Guides select three Pinworthies at the end of each challenge which are featured in a post the following month. If you are one of our chosen entries you will receive a badge of honour and your projects will be pinned to our Pinterest boards. A wonderful theme as the stars guide us towards the end of another year. Fabulous projects and shared creativity from the design team. Thank you for the inspiration. Yet again ladies you have all created some fabulous projects that come together to make an amazing gallery of creativity . All pinned to our boards . Looking forward to calling in on you all over the coming week . Sparklingly fabulous starlit creations all the way round... I've had a lovely time hopping round. All fabulous creations! Very inspiring ladies! Absolutely beautiful creations by the team!